This is the time of year for Easter Egg Dyeing. While this isn’t really a favorite on my list due to the amount of effort that goes into this kind of activity on my part, I always end up doing them because my children have so much fun! Last year besides the traditional water, vinegar, and dye tablets method, we were introduced to a new method of Easter egg dying that we had not yet tried. Using white shaving cream, spread it out across the surface of a cookie sheet. Dribble food coloring across the top surface of the shaving cream. 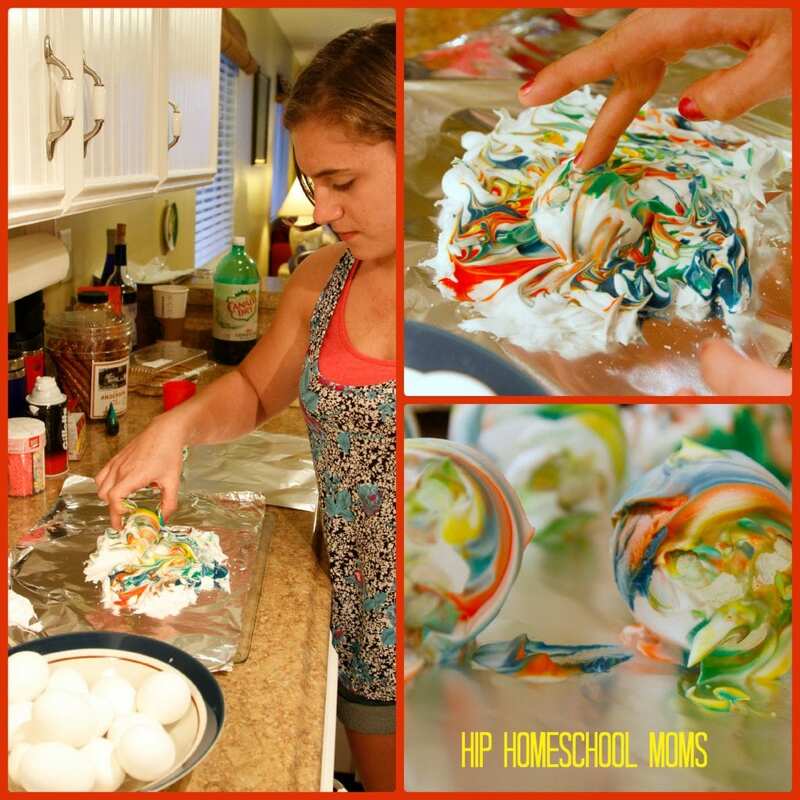 Use toothpicks to swirl the colors around in the shaving cream. Place colored eggs on a paper plate to allow them to dry for about five minutes. Wipe off shaving cream and rinse with water. 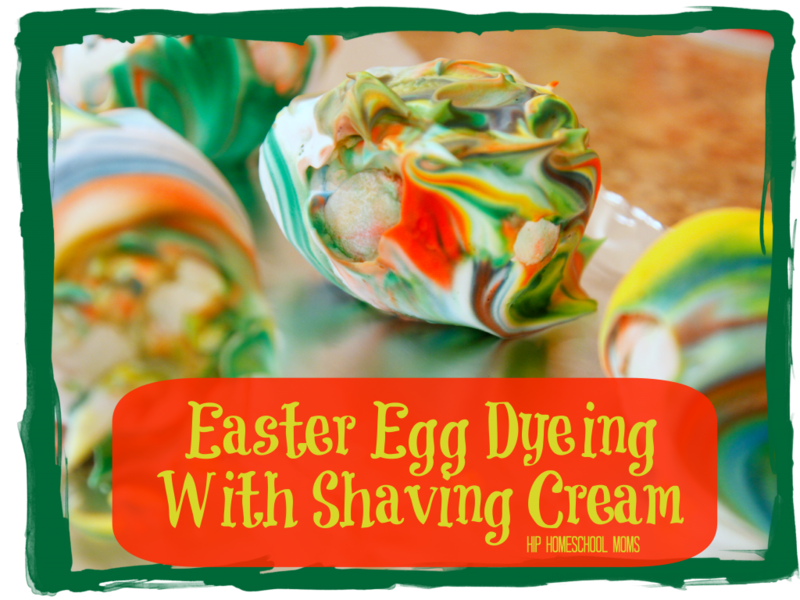 What are your Easter egg dyeing traditions? Do you have an unusual egg dyeing method to share? Heidi lives in upstate New York where the winters are long & cold, but where she truly appreciates the lack of extreme weather such as tsunamis and hurricanes! Her house is filled up with her loving husband of 17 years, 3 busy children, & 2 dogs (Muffin & Oscar). Homeschooling started out as a trial run with a child beginning 2nd grade, & almost 9 years later has become a lifestyle which brings great joy. You can often find her behind her camera, or working something out in Photoshop. With 3 children homeschooling multiple ages is the norm in their house. 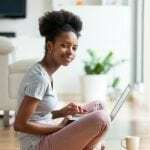 You can find her writing at on her own blog, Starts At Eight where she often focuses on homeschooling high school, elementary unit studies, and books/reading. Is it safe to eat the eggs when dying them this way?